Global pharmaceutical giant Novartis have signed a deal to make White City Place its new UK headquarters. Joint venture partners Stanhope, Mitsui Fudosan and AIMCo, who own the West London site, confirmed Novartis will initially take 54,000 sq ft of space from March 2019, with the option to expand further to 65,000 sq ft come January 2020. David Camp, chief executive of Stanhope, said: “We are delighted that Novartis has chosen WestWorks at White City Place as their new headquarters in the UK. 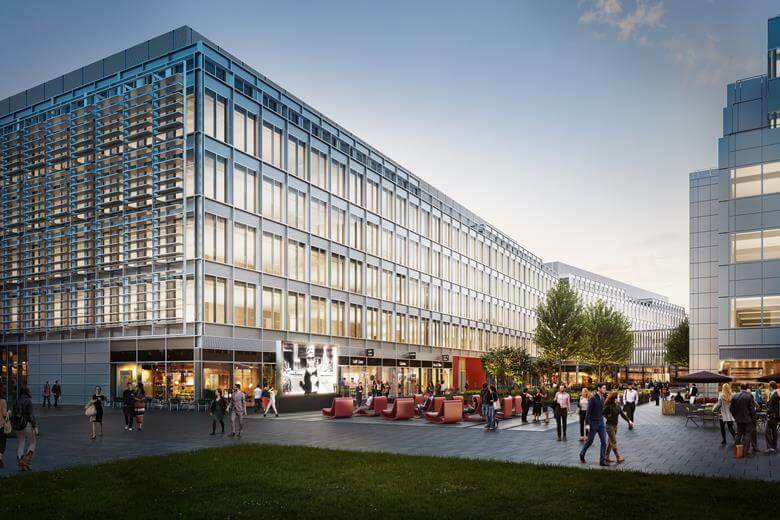 The JV partners signed Autolus to become the first major life sciences company to take space at White City Place earlier this year and Novartis will also join fellow biotech firm Synthace at the 1.9m sq ft business, innovation and life sciences district. Other tenants at White City Place include the Yoox Net-a-Porter technology centre, co-working group Huckletree West, Studio Lagree and F45 Fitness. The WestWorks building is also home to ‘The Studio’, a state of the art 100-seat space with audio and visual recording technology. “At Imperial, we firmly believe that the co-location of academic research and businesses is central to driving innovation and economic growth. This is at the heart of our vision for White City. Novartis is a natural fit for White City’s booming life sciences ecosystem, and we hope that this move will pave the way to new collaborations and partnerships to enhance our work in this area” said Professor David Gann, Vice President (Innovation) at Imperial College London. Novartis is one of the world’s largest pharmaceutical companies, headquartered in Basel, Switzerland. In 2017, the Group achieved net sales of $49.1 billion, while R&D throughout the Group amounted to approximately $9.0 billion. Novartis Group companies employ approximately 125,000 worldwide, and 1,500 in the UK. In 2017 Novartis invested almost £30million in R&D and is a leading sponsor of clinical trials in the UK. Coffee giants Starbucks are moving to a bigger site at Chiswick Park. The multinational will relocate from their 33,000 sq ft home in Building 4 of the 33-acre business park to 54,000 sq ft of office space across the ground and first floor of Building 7, owned by Blackstone. Starbucks join a series of tenants, including Pernod Ricard, Danone, HH Saudi Research & Marketing and Chinese state broadcaster CGTN, that have relocated into Building 7. 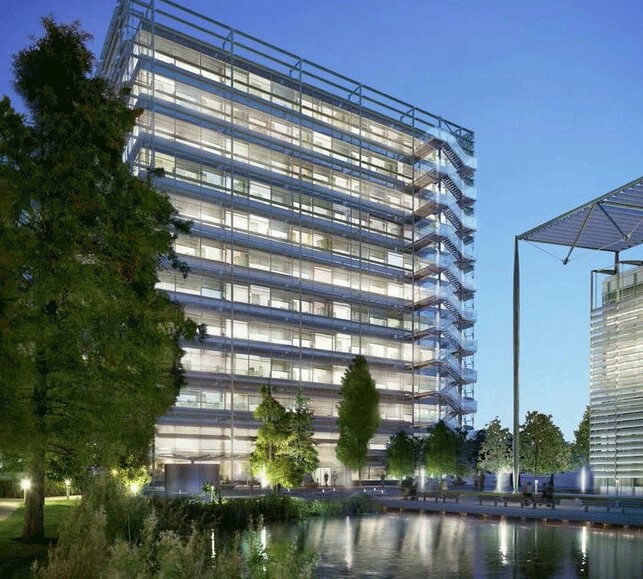 China Investment Corporation (CIC) completed its acquisition of the majority of Chiswick Park from Blackstone for around £780m in 2014. As part of the deal Blackstone retained Building 7 and acts as asset manager of the entire park for CIC.